This has been a really popular trend this year. In lighting, this has been so exciting as there has been some beautiful products produced to suit this theme from our suppliers. It’s also very universally appealing and timeless. As a result, decorating your room to this theme will still look great for years to come. The rooms you can decorate this trend in are limitless. It looks fantastic in Living rooms, Bedrooms or dining rooms. Lighting is, surprising, a great place to start with this theme. 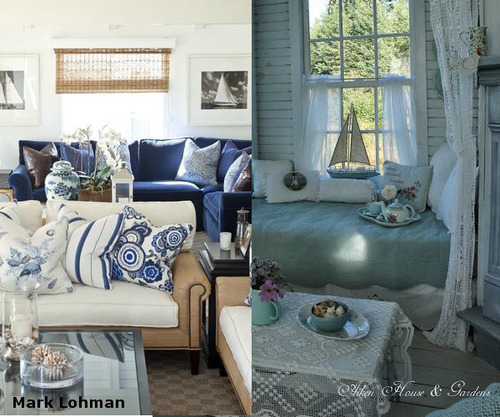 We have some beautiful nautical styled fixtures and accessories to perfectly complement this trend. 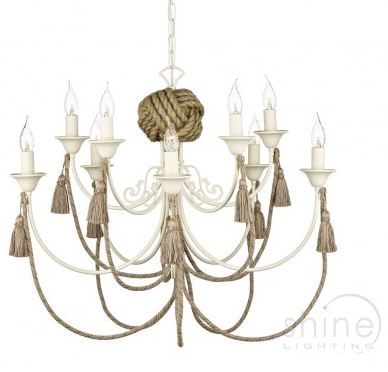 Starting with the ceiling – This is a ceiling light I picked out from our Dar Collection. For me, the rope screamed out nautical to me. We’re based near the sea and I am used to finding bits of rope from fishing nets all over the beach. It also has a matching wall light to go with it. Dar2333 - The rope fits in perfectly with this trend. Our other favourite ceiling ideas was found through a little hunting on Pinterest. We love the custom printed map with the wooden ceiling fan. We’ve found one by Westinghouse – also in wood. However, this one also handily incorporates a light and has an optional remote. Westinghouse - Airplane II 78655 - The nautical theme, with a bit of a twist. 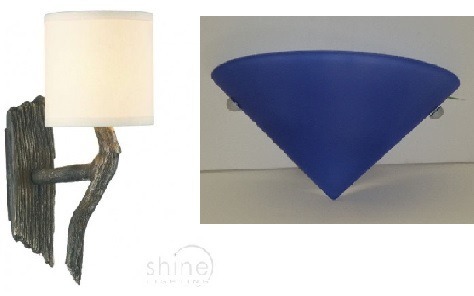 For the Wall lights, I provide you with our two favourites. Option one: Joshua JOS0763 - Add a bit of the Beachwood style to your home. Dar Joshua Wall light. This really picks up on the Beachwood idea – something that just reminds your of the beach. I haven’t seen anything similar to this. A beautiful idea. Option two: Pascal - A beautiful Blue glass light is actually one of the clearance products we currently have a Ebay (so the stock is very limited) - but I think it picks up brilliantly with both the Nautical and Blue colour trend this year. The glass is also really thick and felt really sturdy when I was photographing it. While having a look for nautical inspired pictures, I found the amazing Etsy website . All the featured nautical accessories have been found from Etsy traders. These are my favorite 3 designs. They also really show the range of options this theme presents you with. Each captures different concepts commonly associated with the ocean. The colour options also really give you a great choice to tie in with any pre-existing accessories. We would recommend highlighting them using picture lights. It will mean that you can highlight your new pictures even when you don’t want the main light on! Finally for the walls, you may also want to add a mirror. I uncovered this beautiful nautical themed mirror and felt like it would be an injustice not to include it. 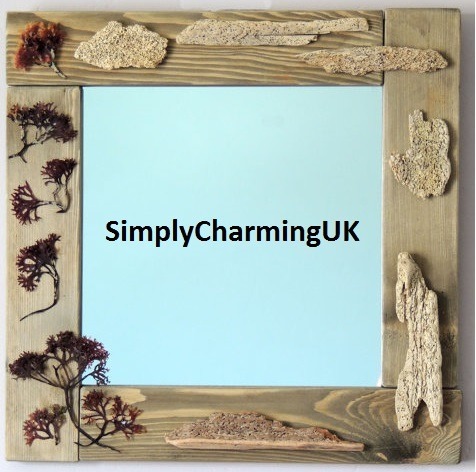 Fits perfectly into this theme, I would love it as a mirror in the bedroom. The next area to go nautical is the sofa (or bed). We have managed to find some really beautiful cushion designs. They’re so different from anything you would usually find on the highstreet. In addition, you can look to find matching coloured curtains and a throw. These are great for adding some colour to your space. To finish off, there are a few little things you can add to a room to inject a bit of nautical into the space. The driftwood beach huts would look ideal on a bookshelf or your windowsill. Their blue colour scheme also matches well with most colour schemes already in the room. To match, these really originally map themed bunting are something a little different for this trend. However, the traditionally designed map is reminiscent of the ocean explorers. To finish off, I discovered this beautiful hanging garland of sailing boats while hunting through etsy. I thought it would look amazing hanging off my curtain pole at home. In addition, it also matches amazingly with our sailing boat light chain. Did you get any ideas from this blog? Which room would you decorate?